Eclectic British director prepping film set in 19th century. 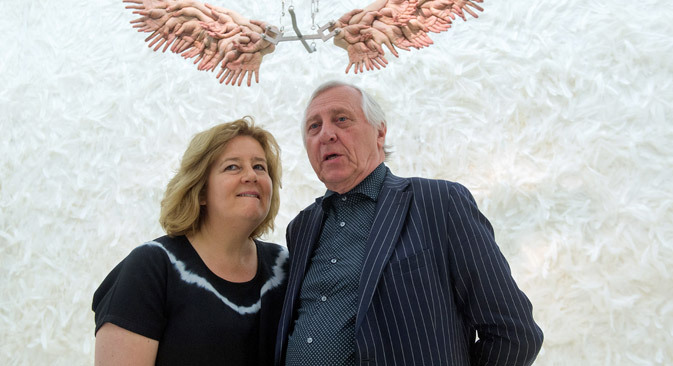 British director Peter Greenaway and his wife Saskia Boddeke are preparing to shoot a film about 19th century French author Alexandre Dumas's trip across Russia, according to the Timchenko Charity Foundation, which is backing the project. The movie - working title Volga - is based on a diary Dumas kept on his trips across Russia published in Adventures in Czarist Russia, or From Paris to Astrakhan. Dumas - best known as the author of The Three Musketeers - recorded observations both of contemporary life and the history of the 15 cities he visited. Dumas first went to Russia in 1858, where he lived for two years. "It's an ambitious project to create a 150-minute film showing the multinational, multi-confessional and multi-ethnic character of the Volga region," Greenaway says. "It's a project where the past and the future, authentic culture and art, fiction and propaganda - everything is intertwined, where different religions - Christianity, Buddhism and Islam - peacefully co-exist. We will look for documentary shots that reveal life in the cities and villages, the history of trade fairs, Russian hospitality, images of corruption and political intrigue, of fine arts, religion, hunting, family habits, interiors and much other. The film is about more than Dumas describes in his book." Greenaway's most recent film Eisenstein in Guanajuato stirred controversy in Russia for suggesting that famous Soviet director Sergei Eisenstein had a homosexual affair. Production of Volga is planned for 2016 with a release scheduled in 2017.